It’s no secret that relocating to a new home is incredibly stressful for everyone involved, but did you know it couldn’t be easier to avoid the hassle and hard work of moving? Moving Service has everything that you need for your moving day, with professional relocation services and lots of experience. Our friendly, talented and passionate teams will make quick work of your moving needs, no matter what they may be, leaving you with nothing to worry about other than settling into your new home! If you’re worried about your relocation to East Barnet, EN4 then simply pick up the phone and talk to an expert from our moving company! Book your appointment by calling 020 8746 4402 today! How Can Our East Barnet Moving Experts Help? There’s no end to the many ways in which our professional removal service can benefit you. Whether you’re looking for help with packing, loading, furniture moving, van rental or a reliable man with a van in EN4, we’re able to provide for you! We make moving house easy by handling all of the hard work for you, and all of our solutions are 100% guaranteed to impress. We offer our assistance on weekends and bank holidays to suit your needs, and we can help anyone moving to East Barnet. If you’re keen to find out more then get in touch with a specialist from our company today to make your reservation or to learn more about our prices, services and teams. Book Your Greener Moving to East Barnet! 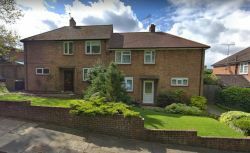 We pride ourselves on being one of the most eco-friendly companies in the EN4 area, and if you want a greener relocation to East Barnet then you don’t need to look any further! We’ve spent a long time perfecting our removals to EN4 to make them as safe for the planet as possible. Everything from our vehicles to our equipment is guaranteed to be as environmentally-safe as possible, so that you can keep your carbon footprint to a minimum. All of our packing materials are recyclable where possible, and we service our vehicles regularly to keep them in the best shape. If you want an eco-friendly removal company that can meet all your requirements then give us a call on 020 8746 4402! East Barnet, EN4 is located in North London and is a part of the London Borough of Barnet. The district is known for its strong links to the world of arts and performance theatre, with the famous Bodens Performing Arts School found in the area. Other sights of interest include The Studios and the Tony Boden Theatre, both of which have connections to the school. As a residential suburb, East Barnet has fantastic shopping and dining opportunities at its centre. The nearest railway stations include Oakleigh Park and New Barnet, with the nearest London Underground station being Cockfosters. Neighbouring areas are Hadley Wood, Brunswick Park and New Barnet. No matter what it is you’re looking for on your moving day, Moving Service is here to provide for you! With our assistance your removals to East Barnet, EN4 will be fast and easy, and our prices are very affordable even if you’re on a budget. Our competitive rates are perfect for every pocket, and with special offers regularly available you can save even more! Don’t compromise on quality to find movers you can afford! With our company you can get the best of both worlds. Find affordable moving services with no hidden fees by giving us a call today. You can even get yourself a free price estimate with no obligation necessary! Call us today on 020 8746 4402 to book!